Maintenance Made Easy: The integrated electronic maintenance minder prompts you when the oil, spark plug or air filter need service. It REACTs: Simply walk the speed you wish to mow and the intuitive REACT™ speed control obeys. 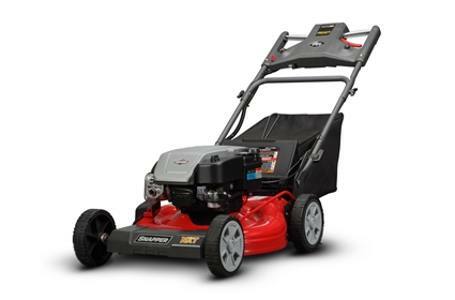 Extra Power with Extras: The Briggs & Stratton 875 Professional Series™ engine is the heart of the NXT. Just A Trim: Adjust cut height with one low-effort lever. Height-of-Cut: 1.25 in. to 4.00 in. Front Wheel Size (in): 8 in. x 2 in. Rear Wheel Size (in): 9 in. x 2 in. All power levels are stated ft-lbs per SAE J1940 as rated by Briggs & Stratton. Front: 8 in. x 2 in. ; Rear: 9 in. x 2 in.